The Zipato Multi Sensor offers four different functions: door/window sensor, humidity sensor, temperature sensor and light sensor. The Zipato QUAD Multi Sensor offers four different modes: door/window sensor, humidity sensor, temperature sensor and light sensor. The sensor consists of two parts: a sensor and a magnet. They are designed to be mounted on a door or window with the magnet on the door/window and the sensor on the fixed part. The opening of the door or window ensures that the magnet moves away from the sensor, so that the detector is switched on and a Z-Wave alarm signal is transmitted when the system is turned on (this signal can be used by for example a siren or a Z-Wave home automation box). The Zipato QUAD Multi Sensor can be used for security or automation purposes. It can adjust the light intensity, temperature and/or humidity when there is significant change detected and each time a door/window is opened. 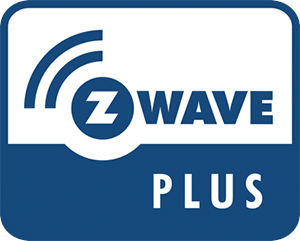 A Z-Wave controller (remote control dongle ...) is necessary to integrate the detector in your Z-Wave network (if you already have an existing network).